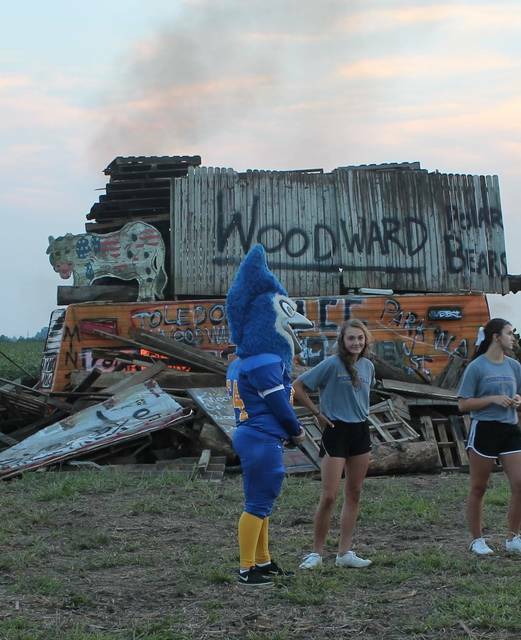 DELPHOS — Delphos St. John’s High School celebrated back-to-school Sunday with a bonfire and other events. The celebration started with a prayer from Father Scott Perry, after which the Delphos St. John’s Band played the school fight song and alma mater. After the band was finished, the cheerleaders and mascot performed and entertained the crowd. Todd Schulte, football coach, gave an inspirational speech as the bonfire was lit. 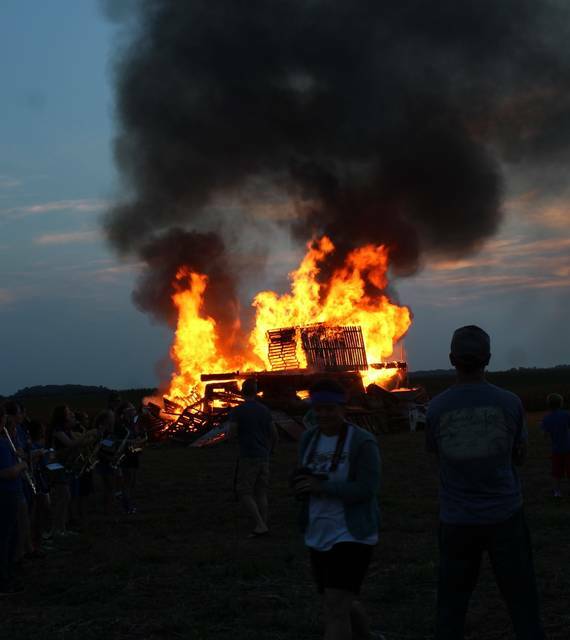 Students ate hot dogs and smores as the bonfire burned.